Mm bubblegum. Mm strawberry laces. Have I got your attention yet? Good. When I received a selection of goodies from Carex's Fun Editions range, it's like they could read my mind. No word of a lie, 9 out of 10 times I pass a Carex stand in Tesco, I have to stop and have a sniff of the bubblegum handwash. It's to die for. I must admit, although I'm obsessed with the scents of their products, I hadn't actually tried any out before, until now. Without sounding too much like your mum forcing you to wash your hands before you sit at the table, hygiene is super important! I won't go into all the pros and cons of hygiene as I'm sure you're all smart enough and don't need to read that ramble but if there's one thing I absolutely cannot stand - it's products that make your hands dry. You know the handwash you use in public toilets that make your hands feel like they've never touched moisturiser in their life, well I am pleased to say that Carex is absolutely nothing like that. Not only do their handwashes make my hands feel super soft, they smell great too! Perfect for kids in my opinion, and me of course, because I am a big kid. Along with the bubblegum and strawberry laces scented handwash, I also received two of their hand gels in the same scents. They're for sure my new handbag essentials and have fitted in nicely with my dinky collection of hand sanitizers. 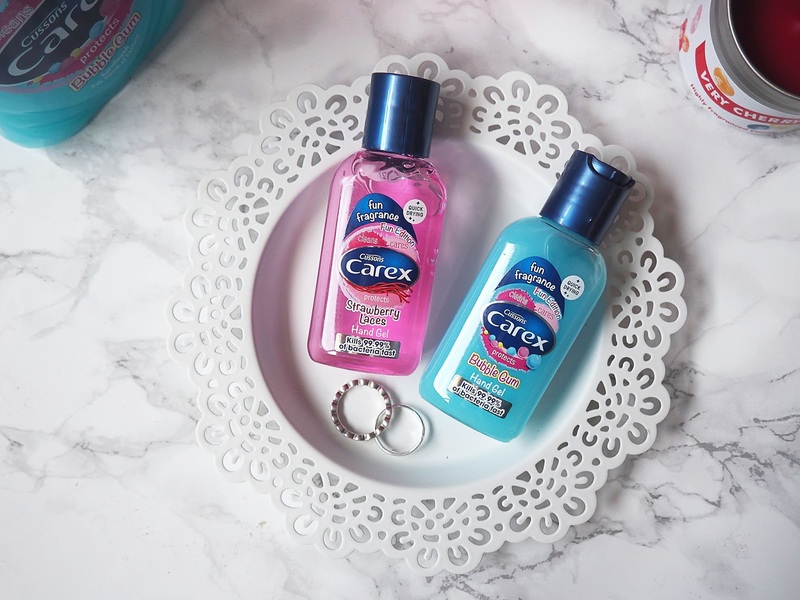 The main thing I noticed about the Carex hand gels is that they soak into the skin extremely quickly in comparison to a few of my others which is brilliant, ain't nobody got time to waft their hands about waiting for them to dry. The Carex Fun Editions range contains other scents such as Cola Bottles and Chocolate Orange which I'm sure smell incredible too and as they're such an affordable brand, I'll definitely be owning those scents in next to no time! 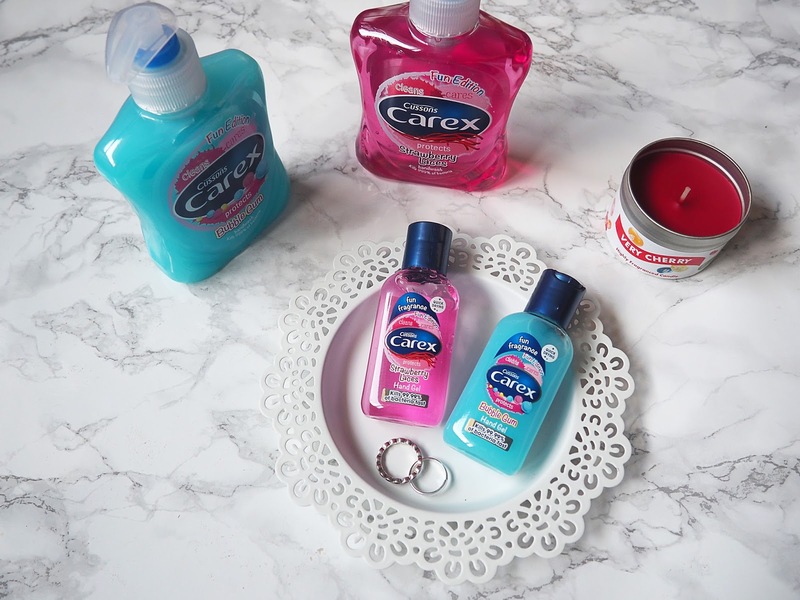 You can pick up Carex products from your local supermarket, Wilkos and Boots so be sure to go and have a smell of their Fun Editions range and let me know what you think. Bubblegum sounds amazing! I love extremely sweet scents! I always reach for the bubblegum one! Smells like heaven! I love fun scented soaps and hand sanitizer, so these sound up definitely up my street!!! We have the strawberry laces one in my house right now (#studentlife) and I love it! It does take a bit of getting used to as it's not really a 'clean' scent, but I love having hands that always smell like strawberries! Had both of these in the past and I love them both! 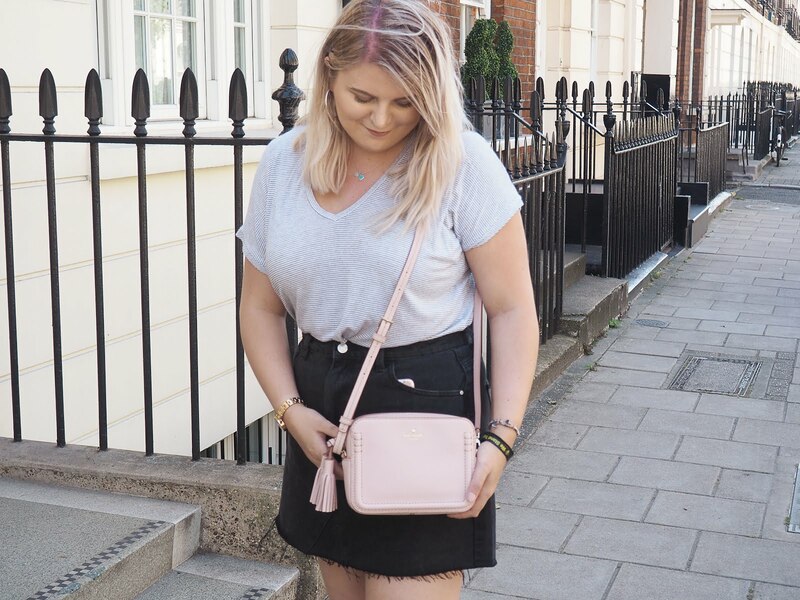 Bubblegum is definitely my favourite.. (I think)! They do smell amazing!! Not too keen on their cola or orange ones though. They are not only cute but they so smell soooo good! I have actually got a little soap bottle for my kitchen with chocolate orange scent. Hubby thinks it's sickeningly sweet lol. And I love it! Bubblegum is sooo good too! Ooh yes! My flatmates and I kept buying the bubblegum and cola ones for our shared bathroom haha! They smell sooooo good. I need to get more.